Being new to 3d printing I thought I’d share this neat little feature of owning a 3d printer. Lithophanes. My friend needed a going away present for work so off I went on an adventure with my 3d printer looking for that thing. Stumbling onto lithophanes I decided to take his best pose and make a nightlight out of it. So you take a photo turn it into a square (for ease of scale manipulation but not required), then turn it to black and white and throw it into one of many programs that will algorithm a lithophane. Here’s image to lithophane to get you started. Great little project for your printer hobby that lets you get into your settings, new programs and sets you up to let your geek go free. I’m not sure if it’s legal but I keep looking at that center brake light in the car and how cool geek that bumper sticker would be. Some programs mentioned in my post and links cost money, there are lots on the web that don’t. 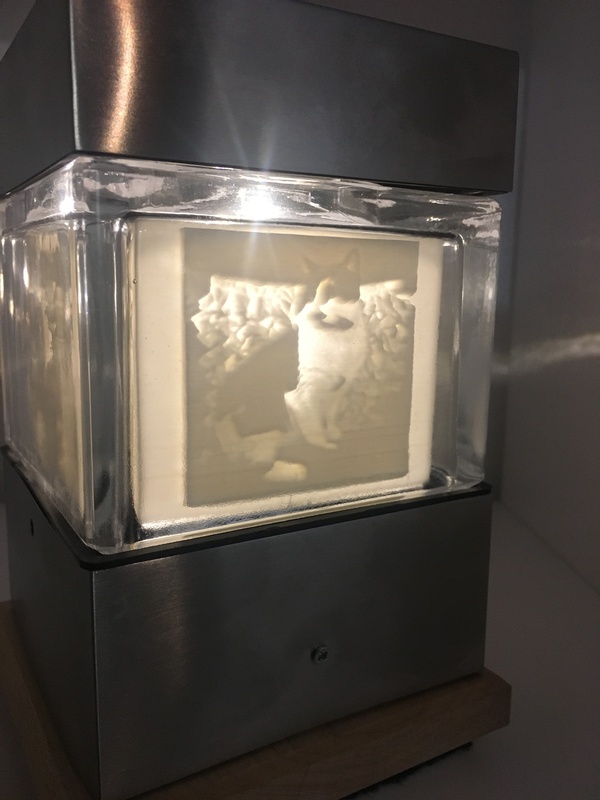 *pats own back, thank you YouTube that’s an awesome black and white cat lithophane (don’t worry you will find out why on your adventure) some blender learning and a solar powered post light… Family likes the geek machine in the basement for awhile.